This Marlboro campaign is all over the city for a couple of weeks already, and, it is even more absurd if you know the cost. Only cigarette companies can afford prices like that: Berlin costs around $300,000; Munich $210,000; Hamburg $177,000; all five biggest cities for a total of $854,000, per week(!). 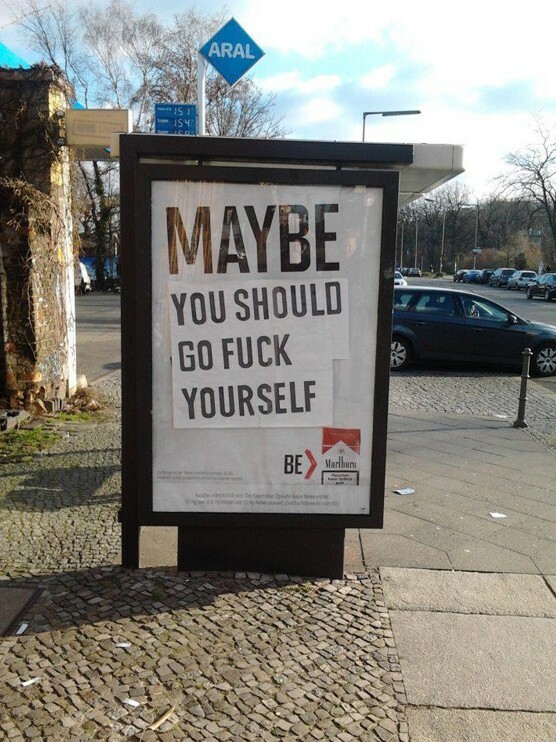 Here is a great Adbusting in Berlin-Kreuzberg.